Dreaming of adding a statement to your home’s exterior? A fantastic way to do that is to add a Picket Fence. 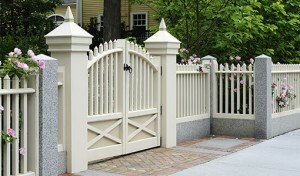 With all the materials and styles to choose from it can be hard to decide on the type of picket fence you want. Our Twin Cities Fence Company would like to help lay out the options and differences each style will bring. 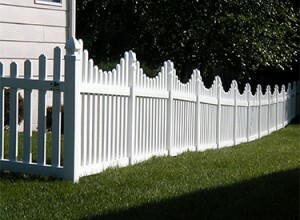 Call for a FREE ESTIMATE and to talk further about your Picket Fence Options in the Twin Cities, MN. The original option for picket fencing was wood. A great option because wood is easy to cut, stain, paint and customize. Pros: Wood is renewable, so it makes changes, repairs and replacement quite easy and the price of wood fencing will likely not break the bank. Con: Wood fencing requires some maintenance and should be stained or painted to avoid color changes. Also, it is best to limit the amount of water a wood fence sees. The more water, the more chance of rot. So, when watering your lawn or garden make sure it doesn’t hit the fence. 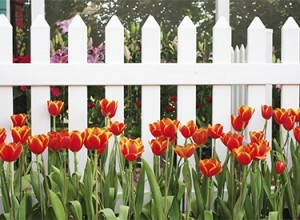 Want the white picket fence look without all the painting and maintenance? A Vinyl Picket Fence may be the best option for you. Our sturdy vinyl fence options are customizable and include a 5-year warranty. Pros: Just install and forget. Maintenance is very low, it will include a hose off after heavy rain fall here and there or to remove spider webs. Con: Vinyl Fencing is commonly a little more expensive than wood. If you are looking for a bold statement, consider adding a timeless black picket fence on your property. With maintenance a non-issue and the classy look, you’ll be admiring your choice for years and years to come. 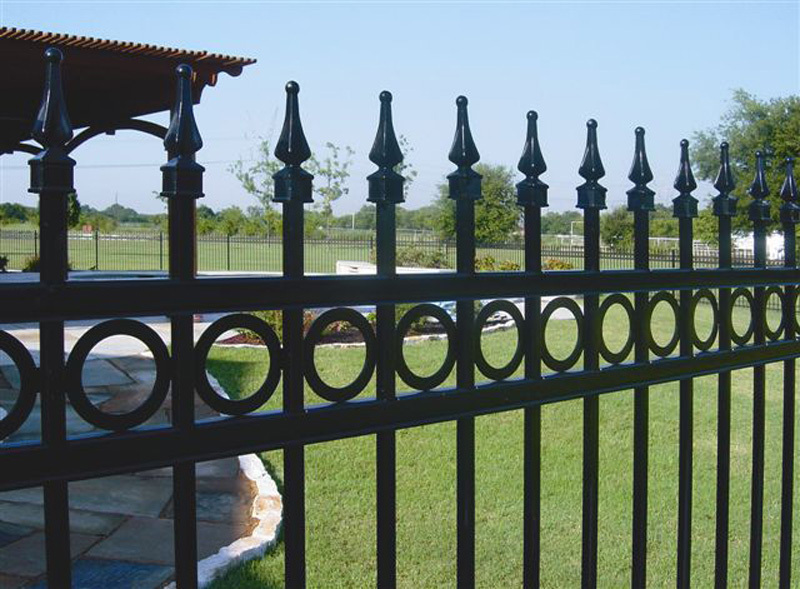 Pros: Metal ornamental fences are about the sturdiest option to choose from. They stand tall through mid-summer’s harsh storms and are unaffected by heavy snowfall and below freezing temperatures. Our Fence Installation Company offers a variety of picket designs and options. Con: Because of their durability and elegance this picket fence style will cost more than both wood and vinyl picket fencing. Call for a FREE ESTIMATE on Picket Fence Installation (763)755-0088.